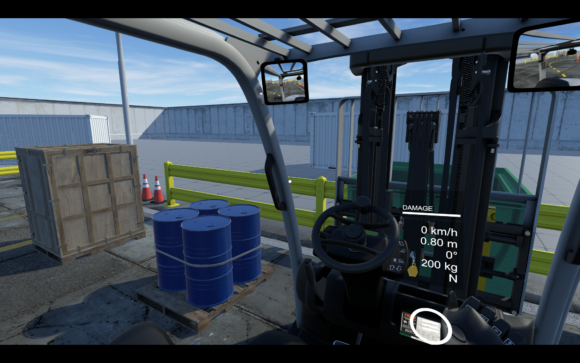 Blind Squirrel Entertainment’s Forklift Simulator 2019 puts players in the seat of a highly realistic virtual forklift. Released on November 23rd, 2018, the Early Access of Forklift Simulator 2019 launched with 40 challenges. These challenges help players learn how to safely operate a 4-Wheel Counterbalance Forklift. In addition to the standard play, Forklift Simulator 2019 supports both Vive and Oculus VR headsets. 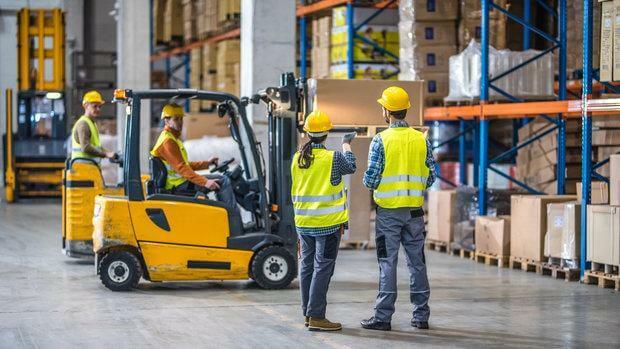 United Kingdom–HSENI (Health and Safety Executive Northern Ireland) will begin a week-long programme of inspections from Monday 14 January 2019, focusing on forklift truck safety within the freight transport sector. 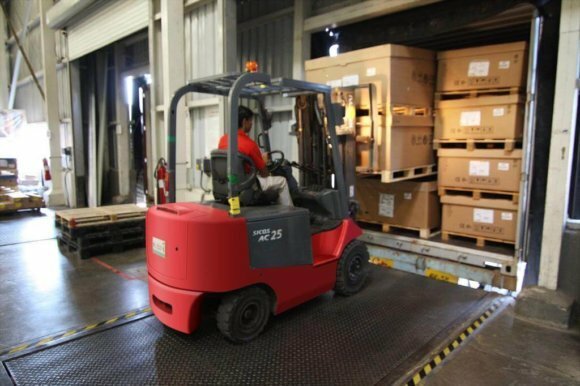 Forklift trucks (FLTs) are widely used for moving materials and goods, but they are involved in about a quarter of all workplace transport accidents. The deaths and injuries can ruin lives and businesses. Even when an incident does not cause injury, it can still mean costly damage to FLTs, buildings, fittings and goods. Particular issues include inadequate training, lack of thorough examinations and maintenance, use of non-integrated working platforms (man cages) and inadequate pedestrian/FLT segregation. HSENI will undertake unannounced visits to freight transport operators to ensure that they are taking action to control the risks from using FLTs in their premises. The targeted initiative will look at forklift operator training, general maintenance and thorough examinations, key control and safe systems of work. Urging businesses to make forklift truck safety a priority, Inspector Karen Todd from HSENI’s Transport Group said: “Those in control of work activities have a responsibility to devise safe methods of working and to provide the necessary information, instruction and training to their workers in the safe system of working. “HSENI will provide advice during the targeted visits, and take enforcement action against poor practices, especially where workers lives are at risk. For more information about forklift truck safety please visit www.hseni.gov.uk or call the HSENI helpline on 0800 0320 121. Businesses which use forklifts are being warned to lift their game as the retail sector moves to stock stores in time for Christmas following a number of tragic incidents in recent months. SafeWork NSW Executive Director Tony Williams said rushing to get goods out the door, poor safety systems and fatigue with workers on the job for more hours are all factors which can lead to tragedy. “The lead up to the holiday season is the busiest time of the year in distribution centres, warehouses and loading docks and we have too many incidents under active investigation involving forklifts,” Mr Williams said. “In one incident a 41-year old lost his life having been crushed when his forklift overturned, and in another incident a 27-year old female factory worker suffered massive internal injuries to her abdomen when a forklift crashed into equipment she was operating. In yet another case a 29-year old male required surgery to a foot after the forklift struck him. From July 2014 to July 2016, more than 1,300 workers were injured in forklift incidents costing the NSW workers compensation system more than $30 million. Tragically this also included three fatalities. Employers must ensure that only licenced workers operate the forklift and that they are used only for their intended purpose. Physical fences or barriers or clearly defined walkways should be in place to ensure a separation as the two don’t mix. 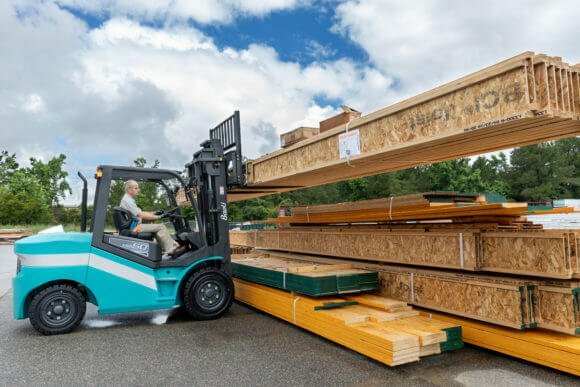 Forklift speeds should be kept as low as possible which can be achieved by fitting speed limiters or sensors which automatically adjust the forklift’s speed. Workers should never be lifted on the forklift tynes or on pallets – they should only be lifted with a forklift truck in an approved work box. And when parking a forklift, make sure the brakes are on, that it is turned off and key removed. 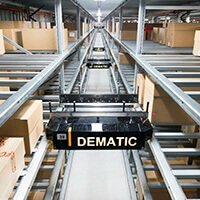 Steel King Industries, Inc., a leading manufacturer of material handling systems for improving operational efficiency, announces the availability of several products that can help reduce maintenance costs and extend the life of rack systems. 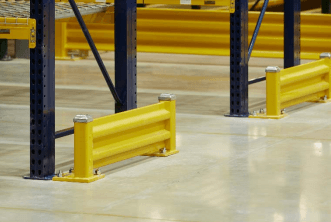 The company’s safety and protection rack enforcement products include: Snap-Guard® and Column Core®, and its guardrail products include: Steel Guard®, Armor Guard®, Guard Dawg®, and Mega Guard®. By utilizing these products, companies can protect the investment made in pallet rack systems and ensure safe usage over time. Steel King’s SK Snap-Guard is an adjustable rack column protector for boltless racks that protects the upright rack column from forklift damage. Snap-Guard is constructed of structural angle and features an exclusive 4-rivet connection that automatically locks into the upright column. Adjustable, removable and flexible, Snap-Guard can be used to protect each storage level. Column Core is a unique C-shaped column reinforcement that doubles the impact resistance of Steel King’s SK2000 boltless pallet rack. With Column Core, the boltless pallet rack system retains full beam adjustability but reduced puncturing, buckling, and torsional twisting without additional installation costs. The Steel Guard and Armor Guard guard rails protect people, products, and the physical plant from collisions. They feature a modular design that makes expansion or relocation easy, and effectively separate workstations and walkways from shop traffic. The guardrail systems feature universal posts with connection holes on three sides for added design flexibility. Steel King’s Mega Guard is an all welded steel protector designed to help keep forklift trucks and other in-plant vehicles from damaging facilities and equipment, all while protecting employees. Mega Guard acts as both a visual and physical barrier against costly damage, downtime, and injury. Steel King also carries a full line of safety accessories including Safety Gates, which can be ordered as part of a new installation or retrofitted into an existing system. The gates are self-closing and include a hinge assembly on one side of the gate and two gate stops on the opposite side, for hanging in either direction. LONDON and LEXINGTON, Mass., Nov. 21, 2018–Johnson Matthey (JM) and CAMX Power LLC (CAMX) has announced that JM has obtained a license under the intellectual property of CAMX relating to the GEMX™ platform of nickel-based high energy high power cathode materials for use in lithium-ion batteries especially for electric vehicles (EVs). “Adding the GEMX platform also gives us a broader chemistry landscape to which we can apply JM’s expertise in materials design, development, scale-up and manufacturing. This is how JM provides our customers, and ultimately consumers, with battery materials that have the performance characteristics required to drive an electric vehicle revolution and enable the journey to pollution-free roads.